Dolphin Capital, a leading investor in high-end residential resorts in the eastern Mediterranean, has signed an agreement with One&Only Resorts Limited for the development and management of a luxury tourism project on the island of Kea (also known as Tzia), together with a 16 million euros equity investment. One&Only Resorts, created exclusively for the ultra-luxury market, is a subsidiary of Kerzner International Holdings Limited. Miltos Kambourisdes, Founder and Managing Partner, Dolphin Capital Partners; Mohammed Al Shaibani, Executive Director & CEO of Investment Corporation of Dubai and Chairman of Kerzner International Holdings; and Philippe Zuber, President and Chief Operating Officer, One&Only Resorts. 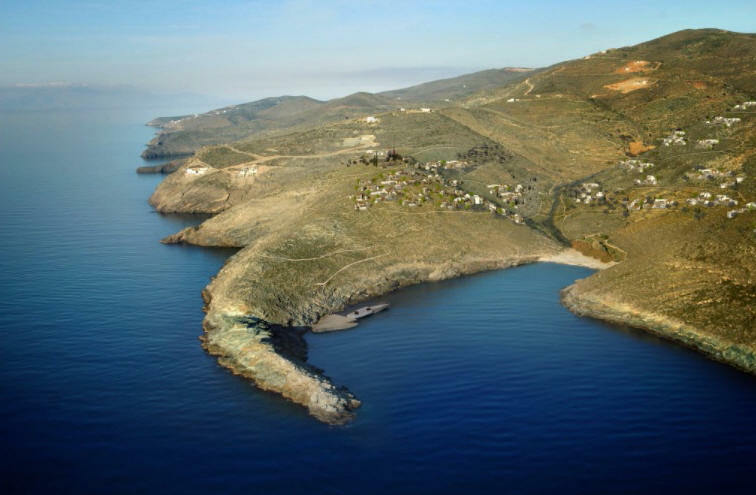 The new entity will proceed with the establishment of the “One & Only Kea Island” resort on 60 hectares of coastal land in Vroskopos, western Kea, owned by a subsidiary of Dolphin Capital. The project will include 75 ultra-luxury One&Only suites, spa, beach club and leisure facilities as well as a number of One&Only Private Homes available for purchase. The agreement includes the operation and management of the resort and the residences by One&Only, while the development and sales management of the project will be undertaken by Dolphin Capital Partners. “We are thrilled to be partnering with One&Only, a global leader in luxury resorts, to develop One&Only Kea Island, which is expected to set a new standard of ultra-luxury resorts in the Cyclades,” Miltos Kambourides, Company Founder and Managing Director of Dolphin Capital Partners, said. The “One & Only Kea Island” will be the first One&Only resort in Greece and second in Europe. It is expected to be developed in time for the 2020 season. “Our goal is to create another world class asset which, together with Amanzoe, will comprise two of the top resorts in the Mediterranean and will epitomize the quality and potential of the Greek hospitality market,” he said. In its half yearly report, Dolphin Capital confirmed that all licensing procedures for the project have been completed, including building permits and environmental/archaeological surveys have been approved. “One&Only resorts are the ultimate ultra-luxury experience that celebrate their destination, and Greece will be no exception. Kea is such an incredible island and our partners, Dolphin Capital Partners are leaders in development of luxury mixed-use resorts,” said Philippe Zuber, President and Chief Operating Officer, One&Only Resorts. According to Zuber, the goal of One&Only is to introduce the finest resort in the Mediterranean. “I look forward to welcoming our discerning guests to discover this unspoilt island and celebrating its traditional Cycladic character,” he added. Investment Corp of Dubai (ICD), the Emirate’s sovereign wealth fund, has a stake in Kerzner International, which through its subsidiaries, develops and operates destination resorts, luxury hotels and residences. It manages luxury resort properties in the Bahamas, Mexico, Mauritius, the Maldives, South Africa, Dubai, and Australia as well as a golf and casino resort in Morocco.